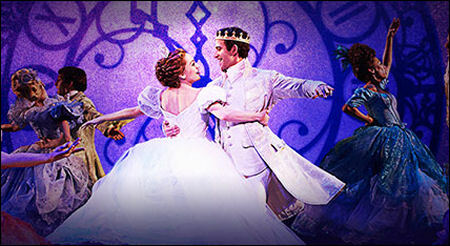 If spending more time with friends and family is one of your New Year’s resolution for 2014, then you’re going to want to see Cinderella on Broadway. Talk about girl power! This Cinderella is not exactly the storybook version you read when you were a kid. She’s a spirited young woman with savvy and soul who is eager to develop a world view, and she doesn’t let her rags or her gowns trip her up in her quest for kindness, compassion and forgiveness. She not only fights for her own dreams, but makes the prince, who falls in love with her, open his eyes to the world around him and realize his dreams. Songstress Carly Rae Jepsen will play Cinderella starting February 4, 2014 for 12 weeks and The Nanny star Fran Drescher will take on the role as the Evil Stepmother from February 4, 2014 to April 13, 2014. Audiences can catch Cinderella 8 times a week at the Broadway Theatre (1681 Broadway) in New York City. Tickets start at $45. For dates, times and to purchase tickets, go to CinderellaOnBroadway.com.